When it comes to planning an event for children most people prefer to stick to the tried and tested formula with the theme revolving around their favorite comic characters. Undoubtedly, Mickey Mouse rules in this case which is why you can find everything from Mickey Mouse cakes to goodies and what not. 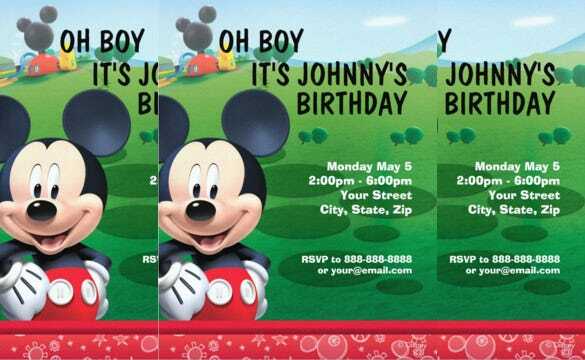 No wonder then that when it comes to designing invitations for such occasions, Mickey Mouse is still a hot favorite. 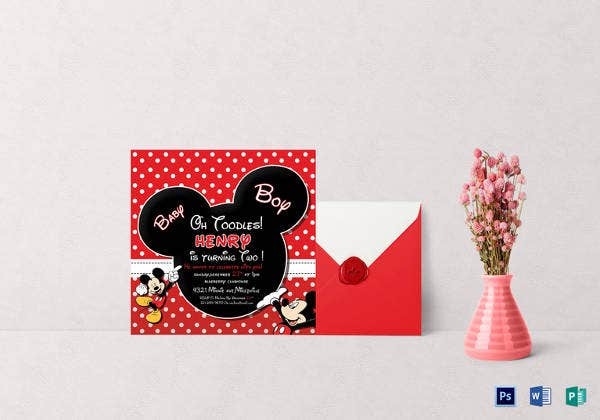 In case you are thinking of doing the same, you can easily create such an invitation using the Mickey Mouse invitation templates. 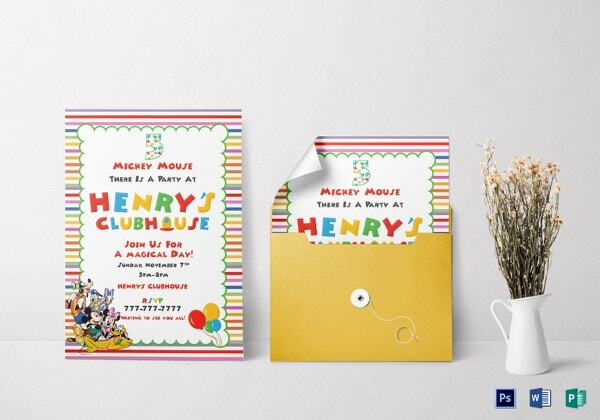 These Sample Invitation Templates comprise of all the essential segments and also a fun element, thus helping you create a great invitation card. Download It will not only look colorful but lovely too. 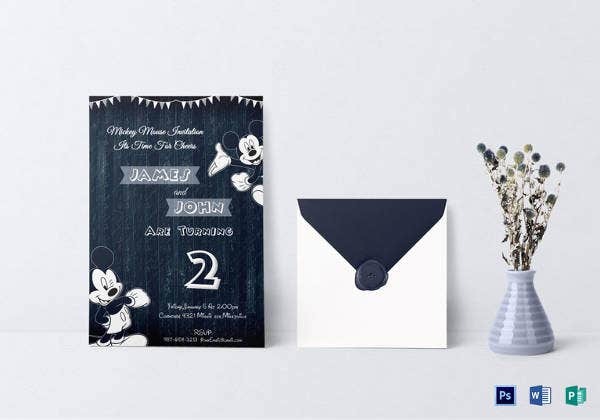 Even the people will admire the way you have designed the invitation. 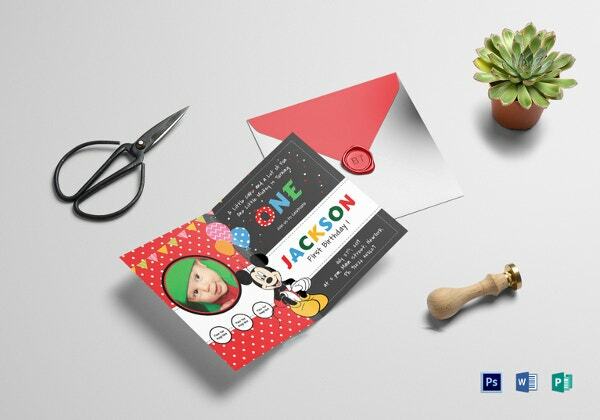 Why not look for the different sample templates or formats like word, html, PSD or Photoshop available on internet that is just perfect for the birthday occasion. Planning a friendships day party for your kid and his friends? 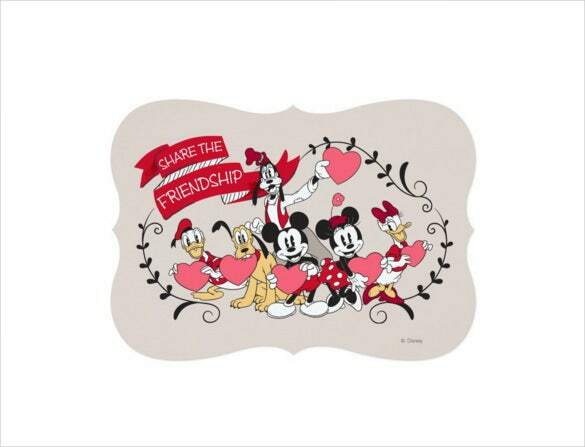 What better idea than to use this amazing Mickey Mouse friendship invitation card template that portrays him with all his dear friends. 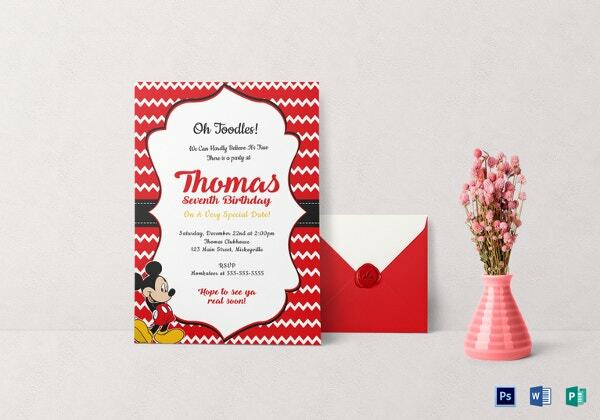 Easy to download and customize, you can quickly create a smashing invitation card with this template. In case you have put up a stall or are planning an event for kids and want them to take notice, the best way to do this is place an attractive invitation board. 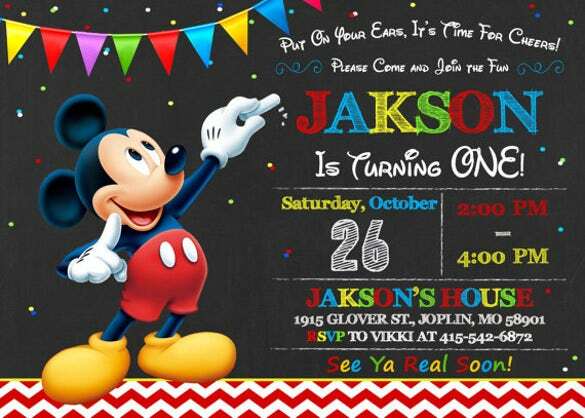 If you are really not sure how to do this, go ahead and use this Mickey Mouse invitation of blackboard template. With all the essential segments in place, you just need to add in the relevant details and you are all set. 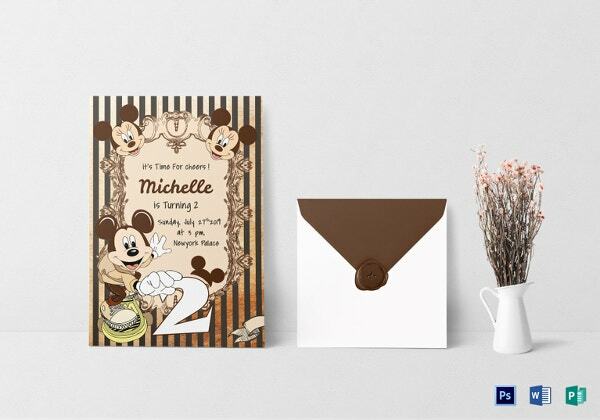 If you are thinking of designing a special birthday invitation card with the picture your little one dressed up as Mickey Mouse taking the central spot, then this template will surely give you some inspiration. 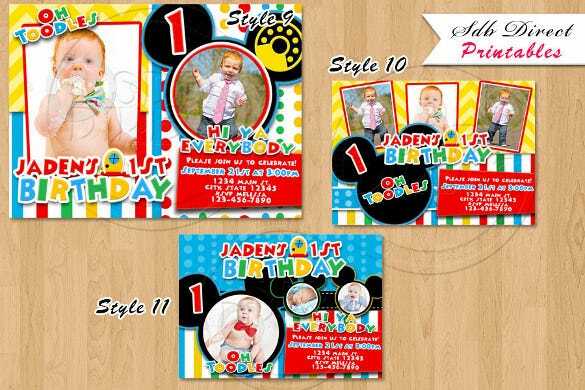 You just need to download it, upload your child’s picture and then personalize the card with the details of the party. 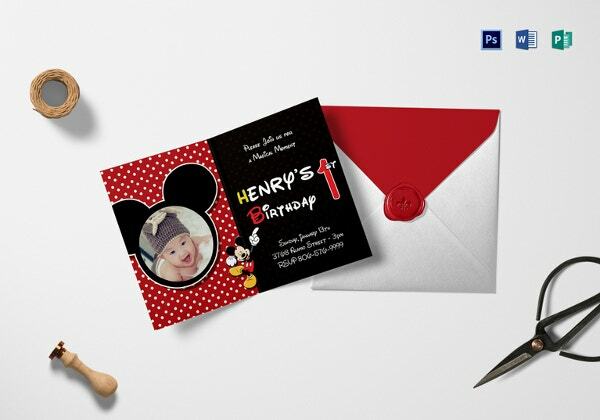 Looking for an attractive design to create an invitation card for your child’s birthday? 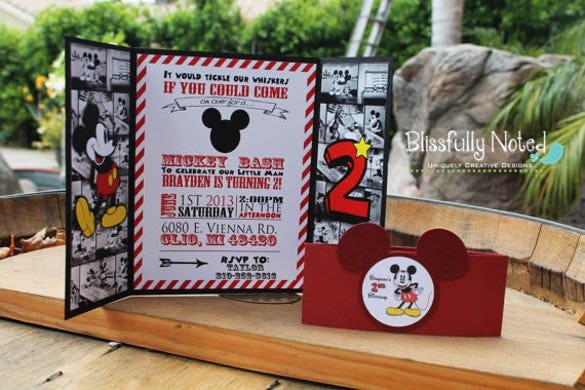 Well, take a look at this smashing card template with Mickey Mouse frolicking around in the garden. It also comprises of the important segments which you just need to tweak with the necessary information. However, you can make changes to it if needed. 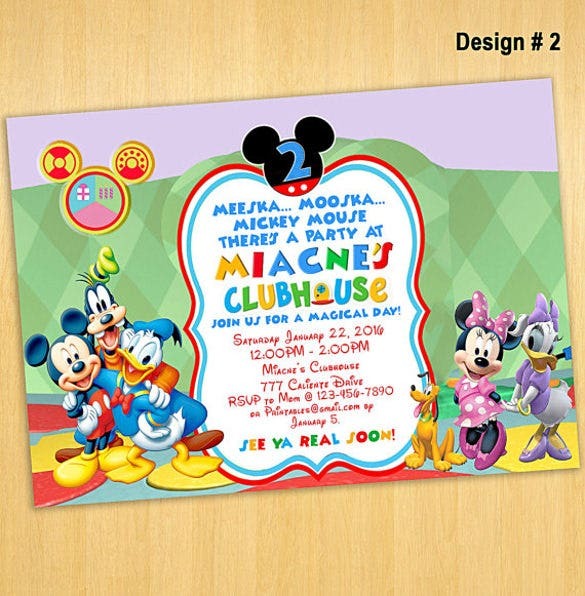 Wondering how to design an attractive invitation greeting for the kids’ event that you are planning? 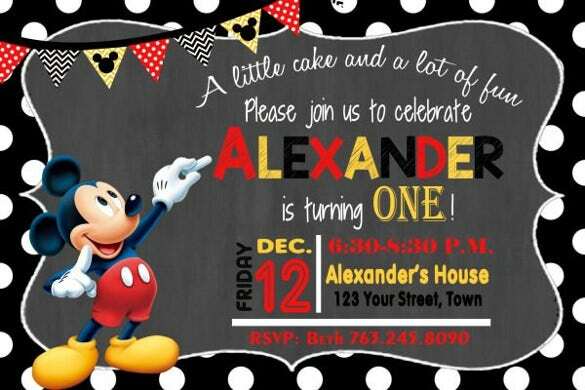 Go ahead and download this amazing Mickey Mouse invitation template. Created by experts, it has a professional touch to it. However, it also allows for further customization, which in turn will help you personalize it as per your needs. 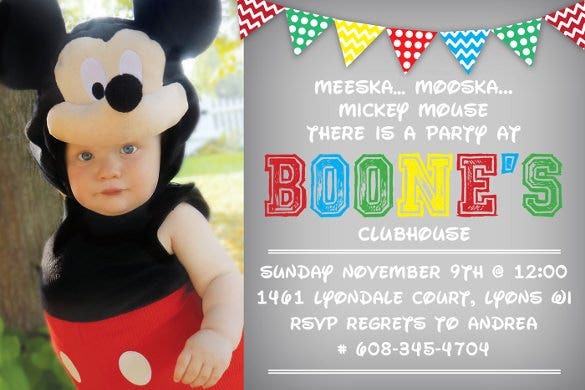 There is no denying the fact that Mickey Mouse Invitation are hands down winners when it comes to designing invitations for kids’ parties and events. 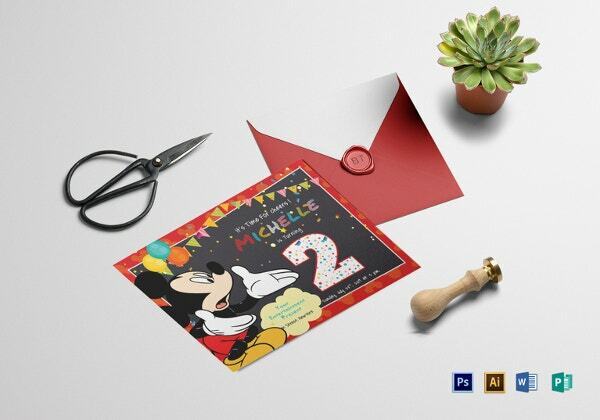 Though doing it from the scratch may seem like a tough task, you can actually design Mickey Mouse Birthday Invitations and the likes, using the wide range of Mickey sample invitation templates that are available online. 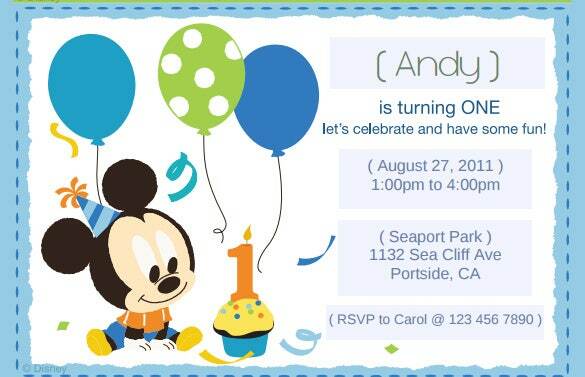 You just need to download the invitation template and then customize it with the details of the event. Though the template comprises of a predefined layout, you can make changes to it as per your preference. What’s more you can even change the color scheme and fonts. 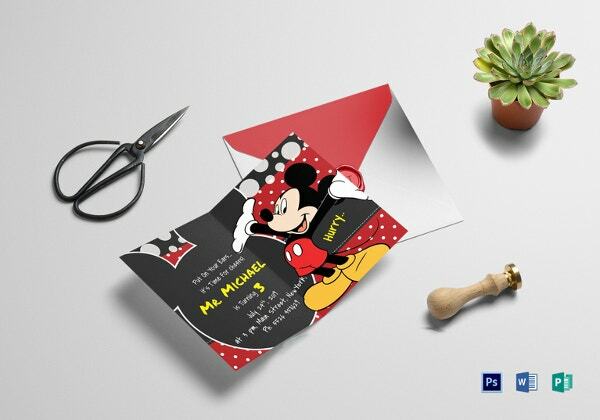 How to Make a Mickey Mouse Invitation in Photoshop? 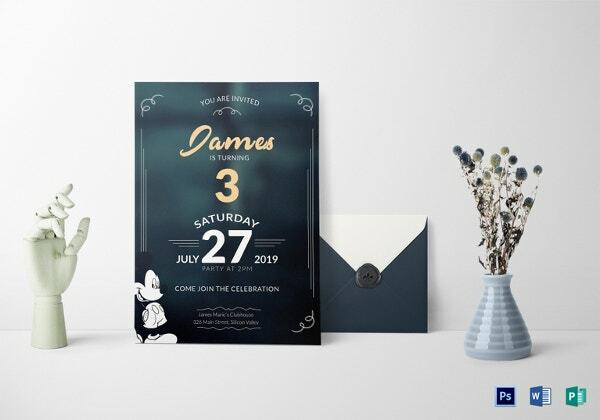 Photoshop is undoubtedly one of the best software when it comes to designing beautiful invitations and greetings. 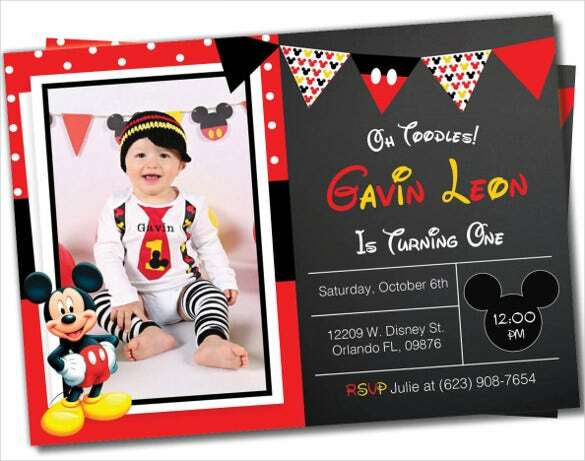 Here is how you can design a Mickey Mouse Photo Invitations with Photoshop. Open Photoshop and then click on File>New>Blank File. Set the dimensions of the invitations and then save it. Now, you can add the design elements to this. Click on File>Open. 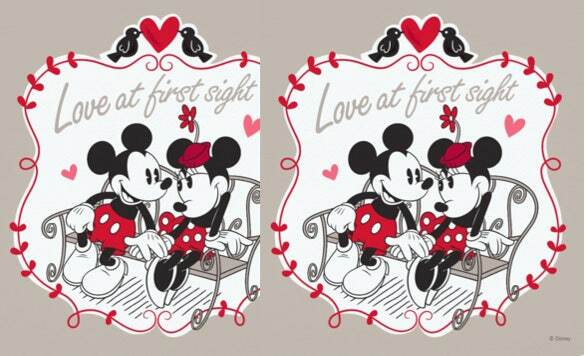 You can browse through your saved images to find the perfect Mickey Mouse picture and then add it to the document. You can change the background color or add effects using the various tools offered by Photoshop. Now, go ahead and add the text for the invitation. Once you are satisfied with the invitation, save it and then get it printed. 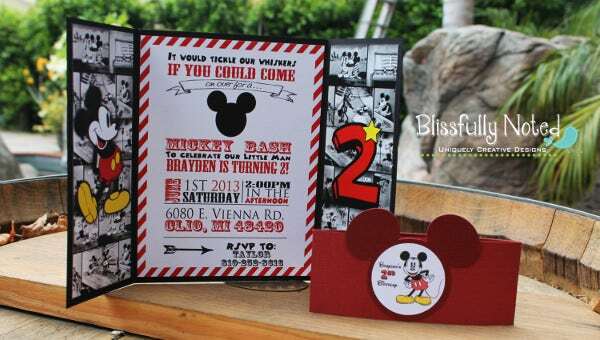 Mickey Mouse invitation templates come in handy for creating a beautiful invitation card or greeting in a jiffy. 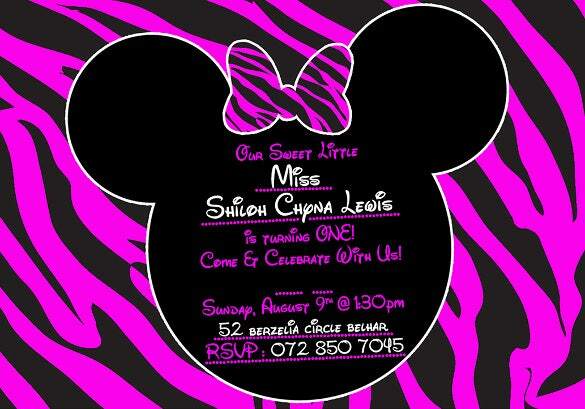 Listed below are the various purposes of these Invitation Designs. Easy to edit and print, these can be quickly downloaded and personalized. 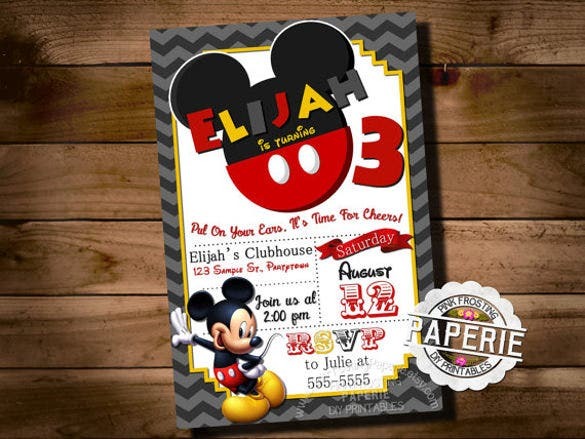 Whether you are looking for a Surprise Party Invitation Template or a special event invitation template, the Mickey Mouse invitation templates can be used to design all these and more. Here is a list of the various ways in which you can use these templates. 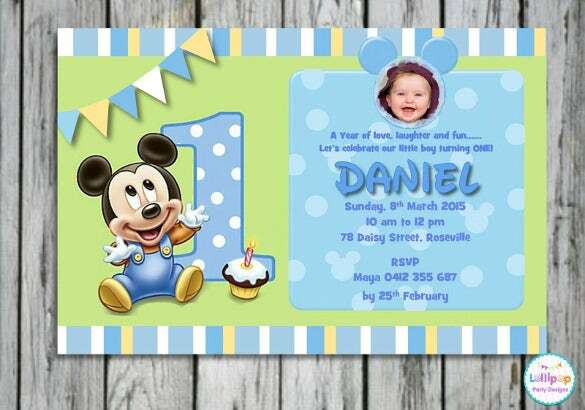 In case you are thinking of designing an invitation for your kids’ birthday party or a kids’ event all by yourself, you can surely get some inspiration by taking a look at the wide range of Mickey Mouse Invitation templates that are available online. Designed by professionals, these look very chic. 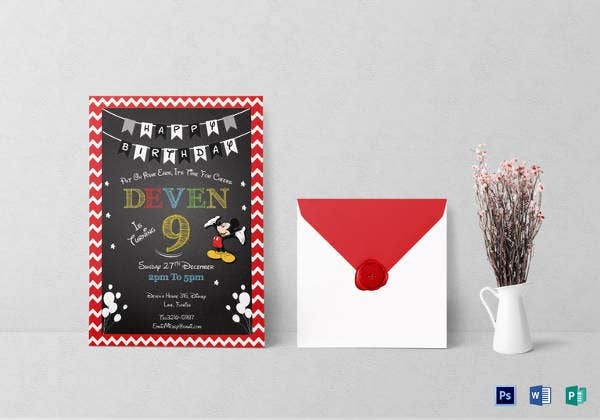 Easy to download and customize, design an outstanding invitation in a matter of a few minutes with these templates.